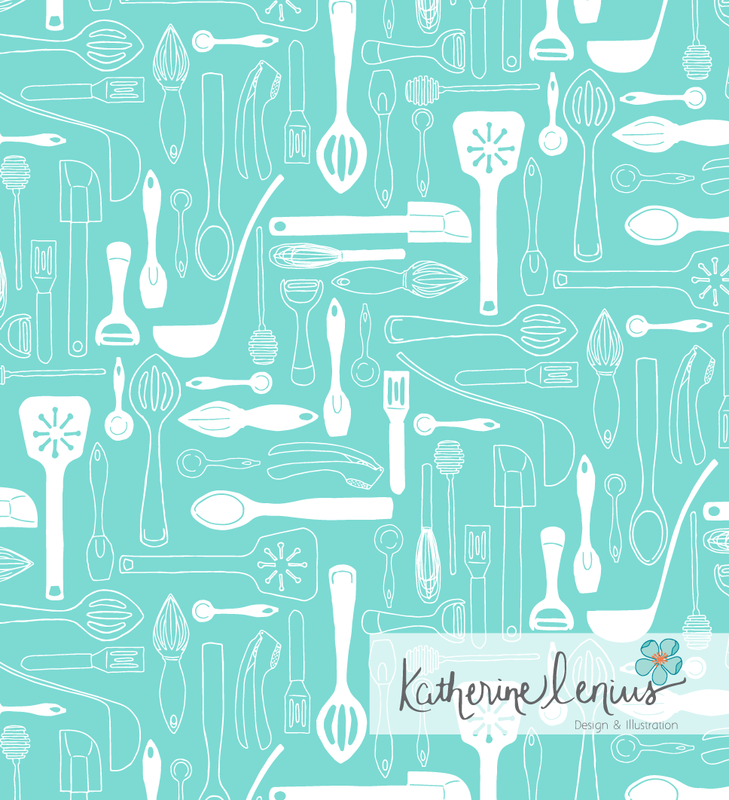 It's been awhile since I entered a Spoonflower contest but once again sometimes I'm so in love with the contest category that I can't resist. Anyone who has seen my kitchen or has intimate knowledge of my Crate & Barrel addiction will not be surprised by my obsession with kitchen utensils and gadgets. A fork just for LOBSTER? Need it. Five different ways to juice a lemon? Must have them all! An itsy bitsy spatula that serves no purpose other than to look cute in my drawer? Gimme. I don't even know that I've ever eaten a poached egg but I am this close to buying those cute little egg poaching pods that go in the microwave. Just cuz. So above you'll see my entry for this week's contest: Utensils. I kept the design simple out of both choice and necessary time constraints but I still think it would look really cute as a kitchen towel or cloth napkin. Tucked in a gift basket with a little microplaner … and a Y-peeler . . . and a melon baller . . .
You can vote here for my design "Gizmos Galore".